Saying that I like cheesecakes is an understatement. I’m mildly addicted to them. Picking a favorite is like asking a mother which child she loves the most, but here I picked my 5 favorite cheesecake recipes from 5 different countries. Did you know that cheesecakes date back to ancient times? 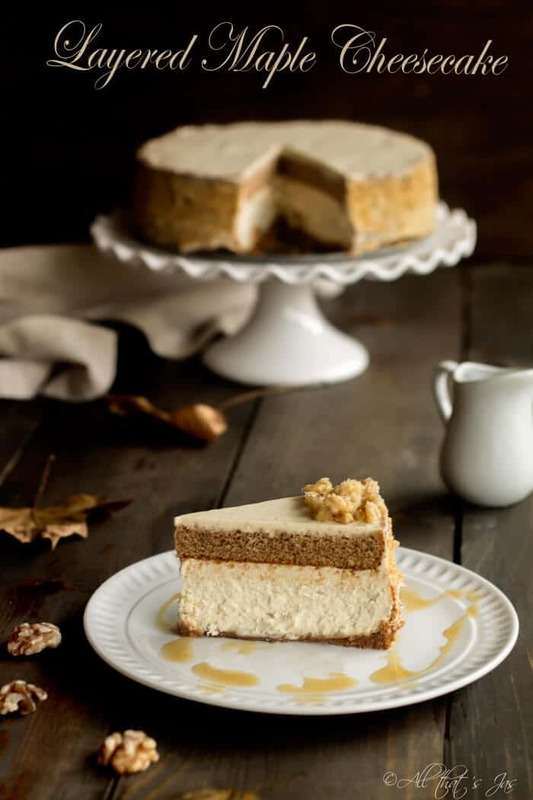 The first cheesecake recipe was found in an English cookbook from 1390 but the first mention was by a Greek physician way before then. There are many varieties from baked to rare and each country adds a unique spin to it, which I can’t wait to explore further. To think I was once intimidated by baking cheesecakes. Now, they are pretty much the only reason I have to work out. Thankfully, the gym membership is not priced by amounts of cheesecakes one eats or mine would be sky-high. When you equally love two desserts and can’t decide which one to make, you make them both as one. Apparently, there are more people like me because this recipe has taken Pinterest by the storm. Baklava is THE must-have dessert in my home country so it’s a no-brainer that we will incorporate it with a cheesecake as well. Making this is a little labor intensive, but oh so worth it! Japanese call no-bake cheesecake rare, which totally makes sense. Here’s the one I made for Valentine’s Day. I also made this one for Easter, but they can be consumed inhaled year round. Another fusion cheesecake. This one is perfect for fall and a must on your Thanksgiving table so make sure to save it/pin it now. Even the non-cheesecake lovers in my family loved it! These delicious little chimi cheesecakes can be devoured any busy weekday because they’re super easy to make. Thus it makes them super dangerous too. Easy to make, easy to eat…gym, here I come! Now I’m hungry for a slice or two of delicious cheesecake. How about you? See this post featured on A Fireman’s Wife. I am smitten by the baklava cheesecake. 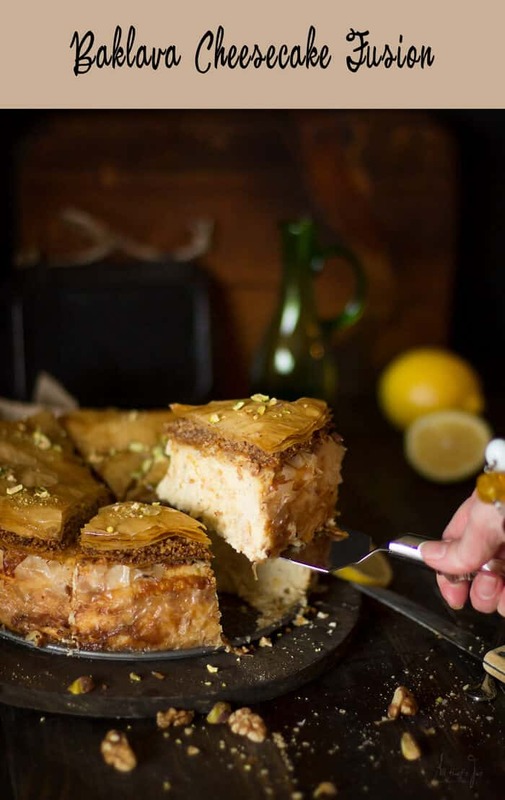 Even though I’ve eaten my fair share (and more:) of baklava throughout the years, especially when my grandma was still alive, I’ve never had baklava cheesecake. Amazing! Pinning! Thank you, Milena! Gotta combine two of the favorite desserts 🙂 Was your grandma, by chance, from the Balkan region? I want one of each please! I love cheesecake and these all look absolutely delicious. I wouldn’t know how to choose! Have them all, lol. Thank you, Carlee, for stopping in! These look so yummy!! Thanks for sharing, I’m your neighbor over at #TuneInThursday this week! Thank you, Bettie! Have a lovely day. Cheesecakes are definitely a favorite around here – thanks for sharing these delicious looking recipes! Thank you, Roseann! Have a super weekend! Baklava Cheesecake? I’m in! These all look delicious and I’m happy you shared them with us at Celebrate Your Story. Have a fun weekend! Thank you, Sandra! Right back at ya! Haha, maybe they’re aliens or just don’t have a refined taste. It’s not like they don’t like cheesecake (trust me they eat everything in site, lol) but it wouldn’t be their first dessert choice, I guess. Me, on the other hand…give me my cheesecake and back off slowly, LOL. 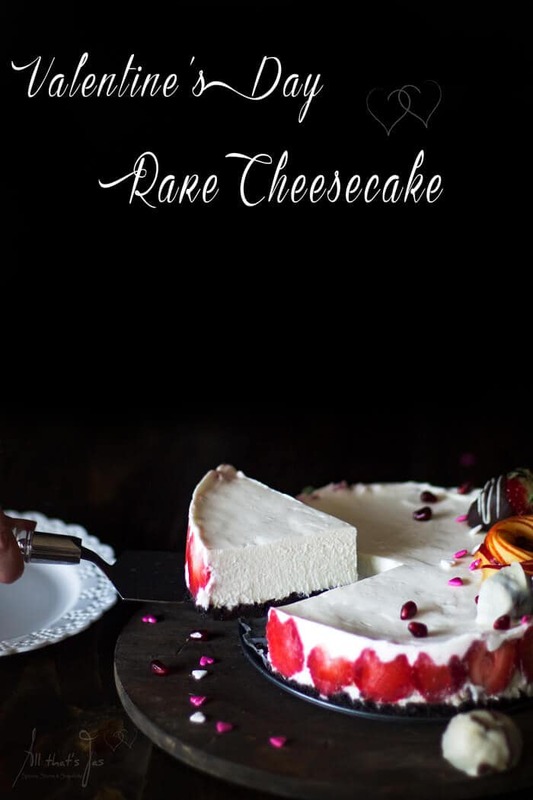 This is a delicious collection of Cheesecake, just fabulous! Thanks so much for sharing your post with us at Full Plate Thursday. Have a great weekend and come back to see us real soon! Thank you so much, Monika! Have a lovely week. What a mouthwatering collection. Everything looks so delicious! I’ll have a piece of each please. Thanks for sharing at the What’s for Dinner Party! Coming right up, hehe. Thanks, Helen! Hi Jas, all I can say is WOW these cheese cakes look amazing, and so beautifully photographed!!! Look for your post to be featured on my #OMHGFF today! Please stop by and share your favorite recipes. Hi, Karren! Thank you so much, you made my day 😀 Wishing you a great weekend as well! These all look amazing! I just wanted to let you know that you will be the featured post on todays Friday at the Fire Station link-up! I want to try them all! Each one looks delicious, Jas. Thanks for sharing at Snickerdoodle. Pinning. Hi, Beverly. Yeah, it’s hard to just pick one. Thank you!